Oliver Dragojević is a Croatian pop singer. A native of Korčula, Oliver Dragojević emerged on the music scene in the 1970s thanks to very the popular Split music festival. His specialty were songs influenced by Dalmatian folklore. Most of those songs were written by legendary songwriter Zdenko Runjić. One of the most popular was Nadalina, which also featured famous actor Boris Dvornik. Dragojević mantained his popularity in ensuing decades, while in the 1990s his songs became less influenced by domestic folk and more by global music trends. At that time he was often referenced as Croatia's oldest pop star. After the collaboration with the legendary Zdenko Runjić he recorded a few albums that yet again exceeded everyone's expectations. 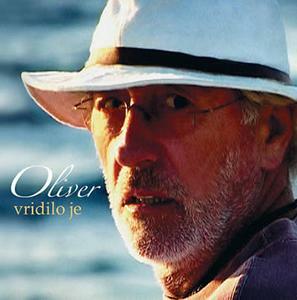 Here is Oliver's last album Vridilo je.